This is the message spread by Sophee Southall (Sophee Smiles) from Australia. She is the writer, photographer and social media addict behind Sophee Smiles who ended up swapping her stable desk job for a life of non-stop travel. A rebel who chose to get out of daily humdrum and predictaxbility and listened to the calling from road less travelled. Since then she is sharing her experiences with the world and inspiring everyone to enjoy their passions. She admits that it’s been a wild and unexpected journey, but in her mind she is officially living the dream. At the start of 2015, she and her husband Ben packed up everything in a Land Rover and started a 50,000 kilometer long overland journey from Singapore to London. On her way from India to China, she passed through Pakistan. She was able to witness the vibrant culture, beautiful valleys and friendly people during her stay. I could only base my understanding on what I’d seen in mass media … I assumed a number of things … which turned out to be misplaced or blown out of proportion. I am grateful to Sophee for giving this comprehensive interview about her experiences in Pakistan. This interview can serve as a complete guide for anyone planning to visit Pakistan. Social media is buzzing with your crazy trip from Singapore to London. Tell us more about it. A few years ago, I started feeling really restless – like I needed to explore the world and shake my life up a bit. While I had a wonderful job, a cosy home and loyal network of loved ones around me in Australia, something was still missing. I yearned for the thrill of travel and new experiences. My feet were getting itchy and begged to explore new ground.One day, I asked my husband, Ben, if he’d be keen to go on an adventure – a long adventure. Lucky for me, he was totally keen and had a great idea up his sleeve. In light of his passion (obsession?) for Land Rovers, Ben wanted to retrace the first overland expedition undertaken by a couple of “Landies” in 1956, except in reverse. Hence, our travel route was born: Singapore to London, with stops in hundreds of exotic destinations along the way. We packed up our lives, hit the road, and haven’t looked back since. You happened to visit Pakistan along the way. Most of people have preconceived negative notion about Pakistan because of media. What motivated you to add Pakistan in your itinerary? When people tell me I can’t do something or I shouldn’t, I immediately want to prove them wrong. I get this rebellious, stubborn urge to uncover a different perspective on the matter and form my own opinion. Before visiting Pakistan, most people told me I was crazy and feared I wouldn’t survive the trip. Due to their narrow frame of reference (generally mass media), they never had anything positive to say, like, “I’ve heard the locals are lovely; I’m sure you’ll be well taken care of,” or, “The Karakoram Highway is said to be one of the best road trip passages in the world – it’s going to blow your mind”. I was exactly the same before I visited Pakistan; I had no idea this country had positive experiences to offer travelers. But, I also struggled to believe the true nature of Pakistan was limited to the negative headlines I’d encountered in newspapers or seen on TV. I was keen to find out the truth for myself and discover what the reality was like on the ground. I really valued having the opportunity to explore Pakistan firsthand, uncover its beauty and share a different perspective with the world. What was your view before visiting? Was it different from your on the ground experience? Before visiting Pakistan, my view of this complex country was very limited. I could only base my understanding on what I’d seen in mass media, as I hadn’t met anyone who’d experienced Pakistan firsthand. As such, I assumed a number of things about the local culture, landscape and people, which turned out to be misplaced or blown out of proportion. I expected Pakistanis to greet Western travellers with detached disapproval or outright animosity. I thought all women, including foreign women, were considered subordinate and treated as invisible members of the community. Many of my loved ones back home feared for my safety. I must admit, I was worried that being an Australian-born blogger could make me the target of violence. Based on my travels through Pakistan, my views on this country have done a complete 180. During my stay, I was surprised to discover Pakistanis were embracing the power of digital media more than any other international community I’d visited. They saw it as an opportunity to have a voice and counteract the negative headlines getting serious airtime. So, instead of fearing my blog, the locals enthusiastically joined the Sophee Smiles journey and leveraged my digital media channels to enhance the reputation of their home country. The response was overwhelming, inspiring and very moving. In terms of safety, I felt more comfortable exploring Northern Pakistan than I did travelling through many other parts of the world. From the major cities to the remote villages, every local I encountered treated me with absolute kindness, generosity and respect. Even as a woman, I was regularly asked about my life back home and opinions on Pakistan. It was impossible not to feel welcome and at ease. Which places you visited during the trip? What are your favorite ones? My travels in Pakistan took me through the north of the country. 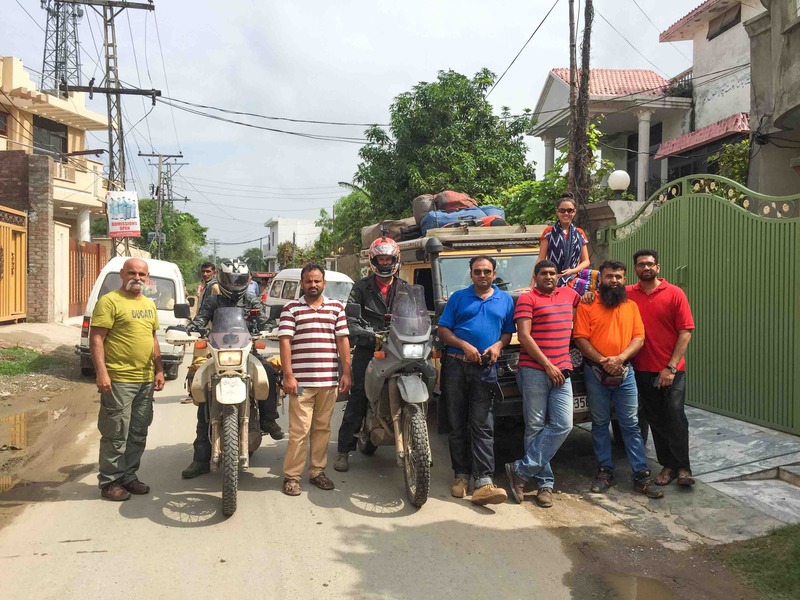 My travel buddies and I entered via the border at Wagah and went on to explore Lahore, Islamabad and locations along the Karakoram Highway (e.g. Gilgit, Karimabad, Attabad Lake, Pasu, Borith Lake, Hunza Valley, and Sost). The bigger cities certainly didn’t disappoint. 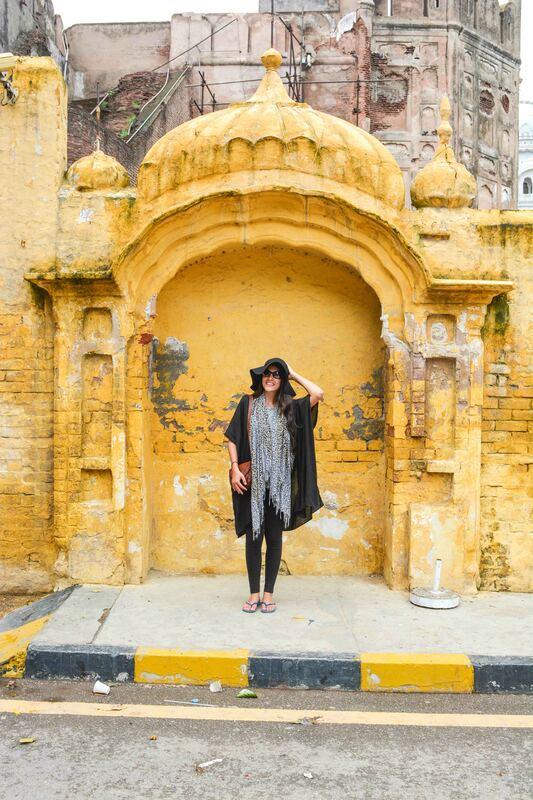 I loved the rich character bubbling away under the skin of Lahore. 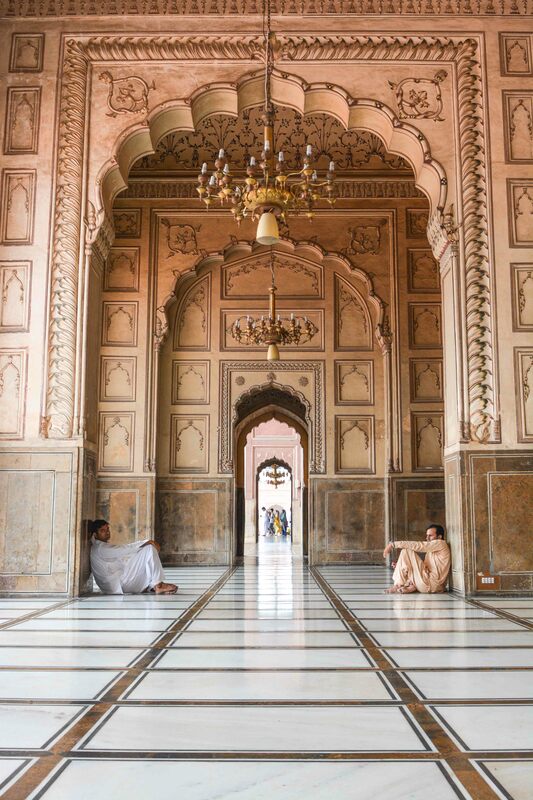 From the refreshing cups of lassi served by veteran street food vendors to the grand majesty of the Badshahi Mosque, the local experiences offered in Lahore were a thrill to the senses. Islamabad also blew my mind – a contemporary, cosmopolitan city with a brilliantly active nightlife. Watching the sunset from Mt Daman-e-Koh, while feasting on Shahi Tukra, was a real treat. The Karakoram Highway turned out to be one of the best road trips I’d ever experienced. There was so much beauty to take in, it was hard to believe this magnificent part of the world was real. From the colossal glaciers and dramatic mountain ranges to the iridescent lakes and quaint villages, it was heaven on earth. What is the most memorable thing about your visit? While the memory of Northern Pakistan’s spectacular sights will forever be tattooed to my brain, it’s the warmth and generosity of the local people that really gripped me by the heart. My fellow travelers and I were treated like family – even royalty – by complete strangers. When it comes to supporting foreigners, the Pakistani community has to be among the most hospitable in the world. The locals seem hungry to present their country in its best light. One gentleman hosted us for five days in Islamabad, taking time off work to show us the local sights and offering up his family’s wardrobe so we’d fit in with the crowds. His talented cook dished up countless meals, so we could sample the local fare. From flaky parathas and exotic breakfasts to mouth-watering samosas and flavor-packed curries, it was the best food we’d tasted in months. Pakistanis sure know how to show tourists a great time! We have seen you wearing western clothing. Did that create any issue or attracted unwanted attention? One of the most common things foreign women stress about before entering Pakistan is clothing – what’s culturally acceptable and what’s not. The best local advice we received was to mimic the locals’ clothing choices in each location. The women in Islamabad seemed more liberal in their fashion choices compared to their counterparts in regional areas. I was mindful of these differences and tried my best to cover up more as I travelled through the countryside or visited places of worship. I must say, I fell in love with the shalwar kameez and felt best when I was wearing traditional Pakistani clothing. There were times when I wore what would be considered conservative clothing in Australia (but risque in Pakistan) for a photo shoot. However, I always waited until there were very few or no locals in sight and tried to be as discreet as possible. Not once was I harassed by Pakistani men about my choice of clothing (or anything else for that matter). On one occasion, a senior village woman came across my exposed legs during a filming session. She pointed at them in shock and started talking rapidly in her native tongue. I tried to apologise and explain the situation in English – I think the woman could sense I was sorry as she started to smile and held my hand for a photo. She knew she was the star attraction. Can you tell about the local culture you observed? How different is it from yours? Pakistani culture is very intricate and vastly different to Australian culture. But, that’s not a bad thing – it’s just different. This uniqueness ensured my time in Pakistan was a thrilling and enlightening experience. The strong influence of Islam on the locals’ daily lives was really interesting to witness. While religion is thickly woven into Pakistani culture, it tends to play a background role in Australia. It was fascinating learning about Islamic values, beliefs, customs and traditions in the context of Pakistan and watching them come to life on the streets, in people’s homes and in the local mosques. The popular fashions in Australia and Pakistan are also worlds apart. Both regions experience piping hot weather, but they survive the heat differently. Australian’s generally expose more skin during the summer months to cool off, while Pakistanis change the layers and fabrics they wear to support comfort and ventilation. Australian’s are also heavily influenced by American and European fashion styles, which are more liberal and focused on expressing one’s “unique” identity. In terms of hospitality, Aussies and Pakistanis are both super-friendly, helpful communities. Pakistanis shine in this department because, in light of their religious beliefs and international PR challenges, they really go out of their way to support foreign guests and make a great impression. It’s just delightful. Aussies will always roll up their sleeves and provide assistance when asked, but those living in capital cities rarely proactively approach tourists to offer support. Regional folk are different. They love hosting travellers and showing them what life in the outback or country is all about. When it comes to food, Pakistan and Australia nurture very different palates. Aussies tend to opt for fresh flavours and simple recipes, allowing the basic ingredients to really sing. Pakistanis, on the other hand, rejoice in rich, complex and homely flavours with soothe the soul and thrill the senses. If I lived in Pakistan, I’m pretty sure I’d eat myself to death. The traditional foods are just delicious! Pakistan does not offer on arrival Visa for most of the nationalities. Can you briefly tell the process you went through to get the Visa? Based on the conversations I’ve had with Aussie travellers who applied for their Pakistan visas back home, it was a relatively basic process. They simply needed a Letter of Invitation from a Pakistani travel company to support their submission. While Pakistan is listed as a “reconsider your need to visit” destination on the Australian Government Smart Traveller website, there’s no travel ban or restrictions that I’m aware of. Due to the length of our travels leading up to Pakistan (6 months), my husband and I had to apply for our visas in Asia. Pakistan prefers foreigners to arrange their permits in their home country, so the process became a little more difficult! Our first attempt was in Kathmandu (Nepal), and we were turned away. The staff seemed suspicious about our desire to travel to Pakistan and were adamant we had to apply in our home country. No ifs or buts about it. Our last option was to hit up the Pakistan embassy in Delhi, India, and we weren’t feeling too optimistic (especially in light of the current relationship between India and Pakistan). But, much to our delight, the process wasn’t too gruelling. After presenting our passports, a Letter of Invitation from the Pakistan Development Commission and Statutory Declarations from our embassies confirming our travel plans, our visas were granted. Phew! The embassy staff even helped us out by offering advice on local must-see sights and epic road trip routes. Did you have any bad experience while in Pakistan? Not one. Which is a better result than any other country I’ve traveled to this year! Any advice for traveler interested in visiting Pakistan? Ultimately, while Pakistan offers enough experiences to entertain tourists, this complex country isn’t a holiday destination, it’s a unique classroom offering a sharp, character-building education for adventurous nomads. So, prepare to feel out of your comfort zone and have your views about Pakistani and Muslim culture shaken up! The main assumption I had before my trip was that the locals resented foreigners – that we’d be met with animosity upon arrival. This wasn’t the case at all. From the moment my husband and I entered the border at Wagah, we were looked after. 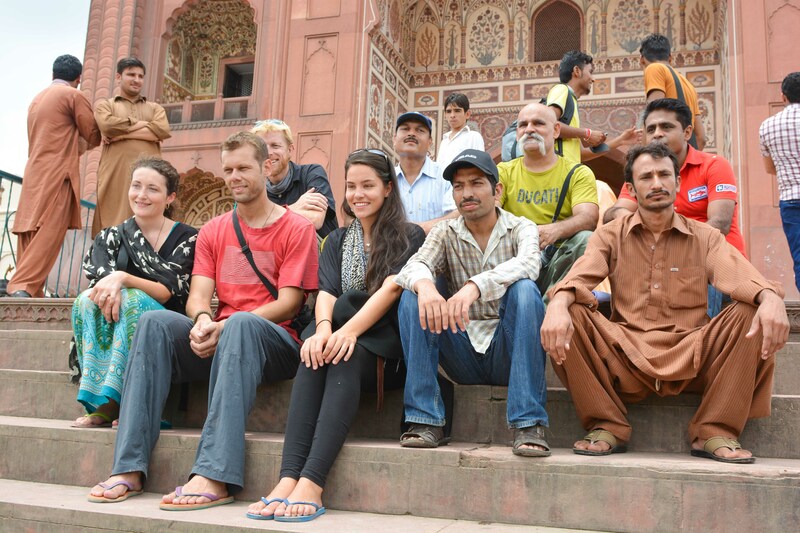 It was instantly obvious the Pakistani community had a lot of heart and valued the opportunity to host travelers. I think it’s important for foreigners to show the same open-mindedness, warmth and respect towards the locals when visiting Pakistan. They are very patriotic and feed off friendliness. I think our stay would’ve been very different if we’d displayed overt fear and hostility. Be kind, be curious and be respectful of the local culture. Great questions and answers. It’s wonderful to read interviews and stories like this to balance up what is portrayed via mass media. Great work, PakiNomad.